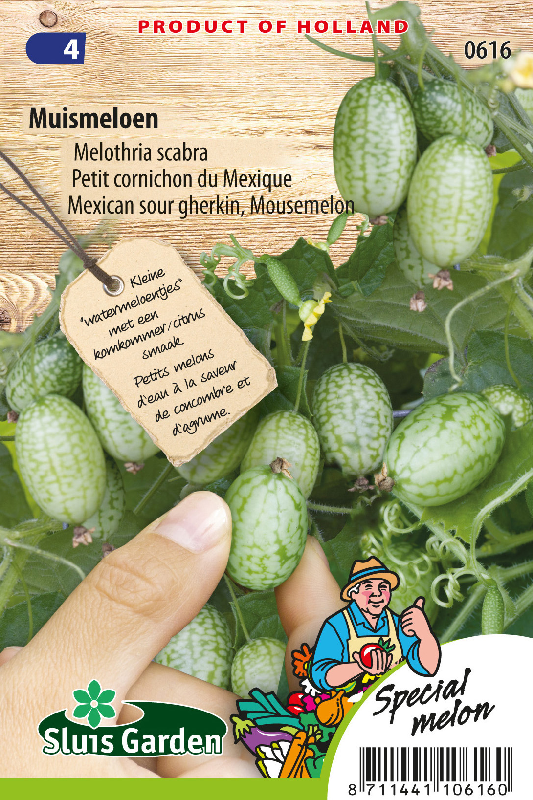 Small pretty “water melons” with a delicious cucumber/lime flavour. Perfect for salads. 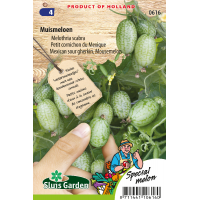 This mouse melon is perfectly suited for cultivating outdoors and is a crawling climber. Results in the greenhouse can sometimes be mediocre due to insufficient pollination. If the fruits are harvested when approx. 2-3 cm in size, they are at their most delicious and contain fewer coarse seeds. A fine variety with abundant harvests.